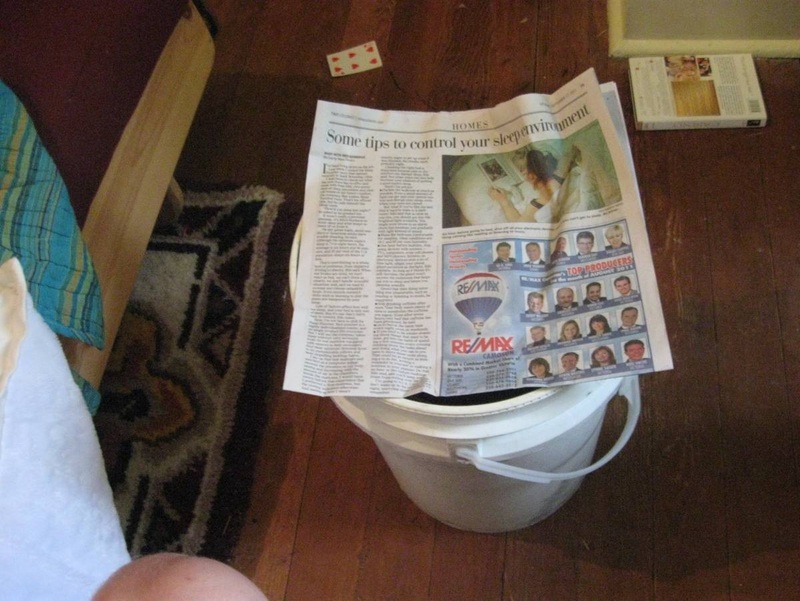 You only need 3 sheets of newspaper to line a bucket, but the order you put them in makes a big difference. 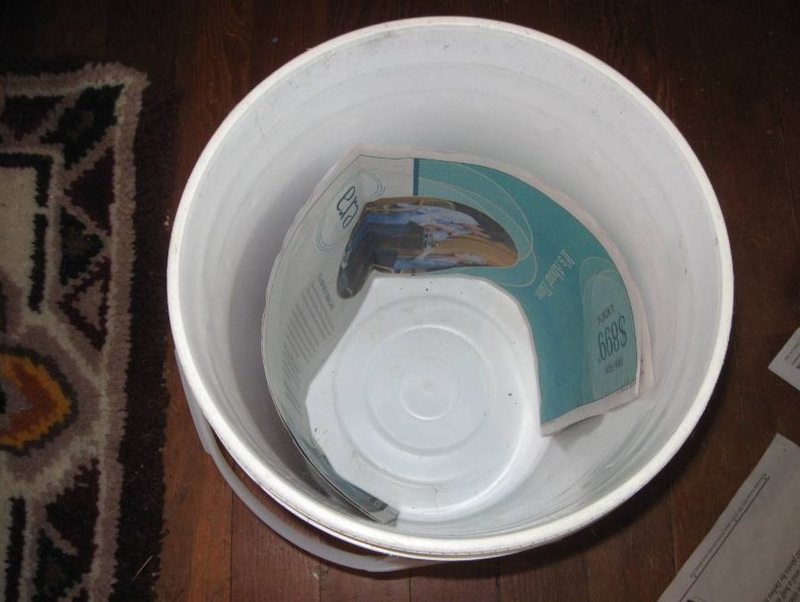 Step 1: Nest 2 sheets together along the side of the bucket interior. Step 2: Push a fully folded sheet carefully down to the bottom, allowing the corners to fold up, locking the sides in place. 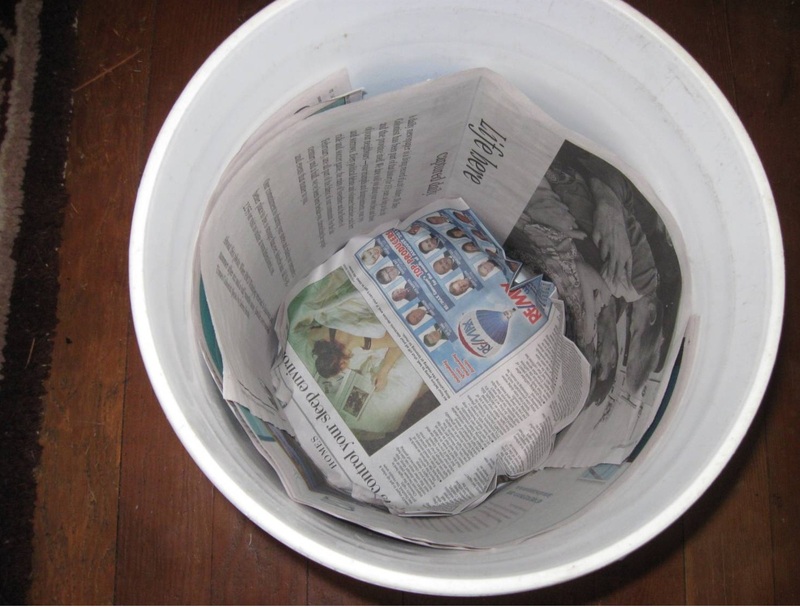 This method works so well that you can turn the bucket upside-down and shake it, and the newspaper will not fall out! Tip: I use broadsheet sized newspaper in this example, but when I can get my hands on tabloid-sized newspaper, I prefer to use its taller size for the sides, while using the broadsheet for the bottom only. Would simply putting a usual size big brown paper grocery bag work just as well? 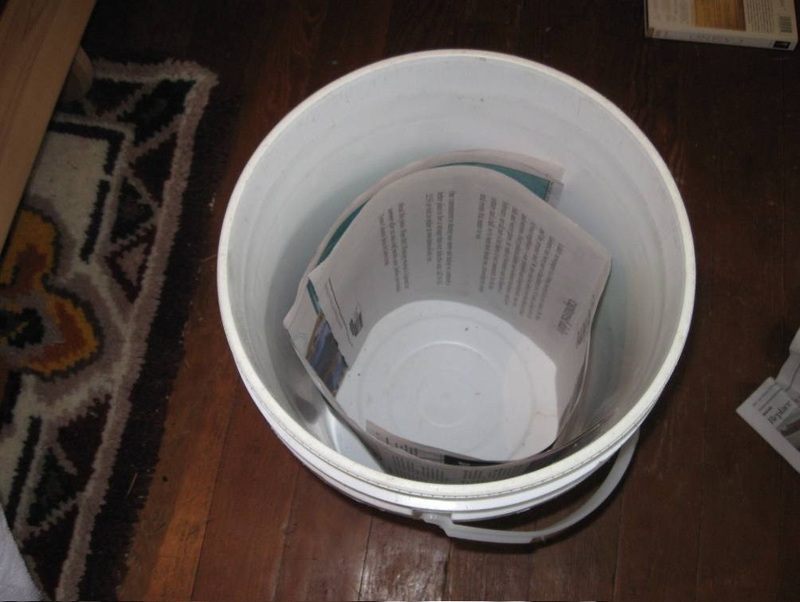 They are all made of recycled post-consumer content anyway, and it seems to me to be a very fast, efficient way to line a bucket. Just plop a paper bag in there ‘n your done. ya? Do you agree? comments from anyone would be most helpful as I’m due to empty and re-line mine very soon. Thanks! :) Keep up the GREAT ideas! I’m loving this one. It has reduced my trips to the big compost pile quite significantly. YES! Big brown paper bags work perfectly. 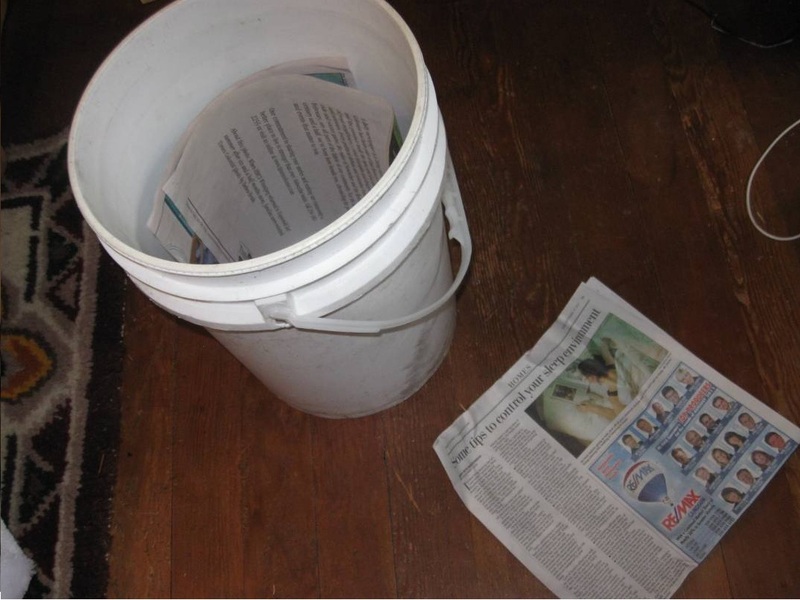 I used to use both and vastly prefer bags except I always ran out of them and had to revert back to newspaper.